So the room where you mix has little to no acoustic treatment and sounds bad? That shouldn’t stop you from churning out a great mix! In fact, classic moves like throwing more treatment or nicer monitoring at the problem won’t fix it. All rooms sound weird in some way, shape, or form. And although you can improve a bad sounding room, I believe there is a better approach to seeing massive improvement in your mixes starting today! The most powerful thing you could to to get better mixes in a bad sounding room is simply to turn down your monitor speakers. The louder your speakers, the more interaction your mix has with the room. And if your room sounds bad (too boomy, too harsh, to reflective) then that’s not a good thing. By simply turning down your monitors, you dramatically remove the room from the equation (although not completely) helping you to hear what’s actually coming out of your speakers, not what’s floating around in your room. This helps you make more accurate mixing decisions! Now there are two other phantom benefits to turning down your speakers: you protect your ears from fatigue and you remove the fake bottom and top end hype. The less sound hits your ears, the fresher they stay and the longer you can mix with accurate hearing. And then because of the something called the Fletcher-Munson curve the louder a signal is the more our ears will perceive a bass lift and top end sizzle. The result? If we mix loud we think we have more bass and treble in our mix than we really do. Turning down your speakers solves all three problems instantly. You have less room interaction in your mix, less fake bass and top end, and your ears are less fatigued allowing you to make more accurate mixing decisions and for longer periods of time. One of your most powerful mixing allies is a decent pair of studio headphones. Why? Because mixing on headphones completely eliminates the sound of your room! Problem solved! Now, many of you might ONLY be mixing on headphones. If that’s the case then this article isn’t really for you since the room isn’t your problem. However, your next purchase or upgrade should honestly be a pair of affordable (and appropriately sized) studio monitors. Why? Because mixing ONLY on headphones is a lot harder to do well than mixing on a combination of headphones and speakers. I don’t have time to get into that now, but I covered this topic more in depth here. And if you are a headphone only mixer and want some tips on doing that well – check out this article here where I shared how I mixed an entire album on headphones at Starbucks. It removes the room from the equation for a few minutes allowing you to make fine tuning mix decisions with more accuracy. It acts as a second set of speakers with its own EQ curve which “wakes up” your ears. The first part is huge like I mentioned. If you’ve gotten your mix pretty far on your speakers (turned down of course!) you still have been hearing some of the room (in all its nastiness) blended in. By checking on your headphones you can finally hear your mix free from any of the the room nodes or odd reflections, giving you a good “view” of things as they really are. It can help you fine tune some EQ or level decisions and will only take your mix to the next level. The second benefit to checking on headphones is that it snaps your ears back to reality. Our ears (attached to our brilliant brains of course) are so clever that they become accustomed to whatever frequency response your speakers have. As time goes on it becomes hard to maintain an accurate perspective. Your headphones bring a welcome relief as they likely have a totally different frequency response – thereby waking up your ears. This usually leads to a “moment of clarity” that can help you pin point any oddities or problems in your mix that you weren’t previously hearing. This final tip might be the most powerful one of them all. At some point in the mixing process I highly recommend you bring in a stereo mix of one of your favorite pro recordings from a band/artist in a similar genre to the one you’re working on. I literally drag my reference tracks into my DAW as a separate audio track, pull the volume down considerably (because it’s been mastered), and then flip back and forth between it and my mix. Because knowing what a professionally recorded, mixed, and mastered song sounds like on YOUR speakers in YOUR weird sounding room gives you an instant standard to meet. If your room has a giant low mid bump around 300 hz, a reference track will show you what a good mix should sound like with that weird 300 hz bump. If your mix has it it too, now you’ll know that it’s nothing to fear – it’s simply your room. Also, referencing a track always helps me know where to put my lead vocal level, kick and snare drum level, and how to gauge my low end. I simply try to match what I’m hearing from the reference – or at least get as close to it as I can. Honestly referencing your favorite pro material while you mix has got to be one of the most powerful but yet most underused mix techniques the home studio owner has at his or her disposal! Listen – I know we’d all love to have a perfectly tuned and treated room. And many people spend time, money, and energy trying to turn their room into an ideal place to mix. But I’m here to ask the question – why bother? In the end, no room is 100% perfect. It can’t be. Sound is unstoppable. It will interact with everything in the room: walls, furniture, even people! Yes, I have some acoustic treatment by my mixing position. And I think it helps some. Yes, I have spent an afternoon setting up my mixing sweet spot. It definitely helps some more. So is my room perfect now? Nope. Not even close. But through a combination of mixing at low volumes, checking on my headphones (and even a crap speaker or two), and referencing pro mixes like it’s a second job I’m able to churn out really good mixes (in my humble opinion). And here’s the best part about approaching mixing this way – if you master these techniques, you can mix on ANY speaker in ANY room no matter how good or bad it sounds. Period! It opens you up to a world of mixing freedom. No longer bound to any set piece of gear or set room. Are You In A Bad Sounding Room? Are you mixing in a “bad” sounding room? Have you implemented one or more of these mixing tips? If so what’s your experience with them been? I like a lot how you encourage people to keep going, this is very important! But man, c’mon, acoustics is a huge game changer in what we do. After the front-end signal, acoustic treatment is the first in the list of what matters the most, it changed my perspective on critical-listening in a way that was unbelievable. I think that in this article you fell on simplism. I’ve seen this response from a few people on Facebook as well, but I think you’re missing what Graham is getting at. Graham is not against acoustic treatment, See https://www.youtube.com/watch?v=W2SBmvBbIYI or https://www.youtube.com/watch?v=Rp0SxdR_M9k. Graham is just trying to get people to use what they have at their disposal more. This tip can help even those that have treated their room. Graham is not saying nit to do any acoustic treatment, just don’t let it hinder you from your ultimate goal of recording and mixing. Pure and simple. All the tips he stated in the article are used by people with very well designed/treated rooms. If rooms are just ‘ANY’ baloney, why would we care at all? Well said. Don’t let it stop you from mixing if you don’t have it, but that doesn’t mean it’s massively important to have a well treated room to churn out accurate mixes – so they hear what you hear and so you hear what’s really happening. Try looking into GIK bass traps. They are pretty affordable and very good. Great resources here Graham. I use monitors and a set of cans and seem to enjoy my mixes, what few I have done yet. The thing I run into is the people who use only headphones telling me my mix needs this or that, and then people who listen through monitors saying they like it, and it sounds even and balanced. Is this why its better to finish your mix before sharing it? Perception or the subjective nature of sound and the human ear? What I try for is a happy medium for the sound through cans, my monitors, and then I normally burn to a CD and listen in a car stereo with the audio set as I normally listen to my favorite bands music. Which is also the bands mastered sound I use to compare against. Maybe a segment on the issues of perception/subjective nature of audio. Hi Brian – this sounds like the need for mixing on both. Make sure it sounds awesome on speakers, but then take plenty of time to tweak in headphones so that it sounds great there as well. I have the 7506 as well and I love them! The key is to learn them. Listen to plenty of reference material, reference other songs while you’re mixing, and you can’t go wrong. this article couldn’t have come at a better time for me. Just moved into a new house and all of my gear is set up and I want to get to work, but didn’t feel confident or ready to start bringing in biz until I get my build-out complete and the room sounding better. Truth is I just need to get to work. Thank you. What is an ideal level for listening “low”? Conversation level or lower? I work in post production and done rooms are set up like video editorial suites. Yep – “Conversation” level. I shouldn’t have to raise my voice to talk to someone next to me while the mix is going on. Do you have any proof/recource for #1? I say: room acoustics are linear but your ears are not. I just want to note, that along with choosing a reference track, I find it equally as important to make sure that the reference tracks you choose have a similar feel/genre to the track your mixing. I used to reference my songs with various pop songs that I liked and it always seemed like the changes I would make to get it closer to the commercial mix, weren’t necessarily changes I wanted, or felt worked well with the mix. As soon as I found some indie artists with records closer to the style of what I was doing, reference tracks were so much more beneficial to me. I predominantly mix on two different sets of headphones (Open-back truly does make all the difference imo.) and about 20% of the time I check my mix on my hi-fi stereo which helps me gauge the lows and highs clearly after mixing with headphones. Then after fixing those, naturally, the mids sound better. I was also fortunate enough to realize early on that my mixes consistently turned out better when I mixed them relatively quietly. They’d sound better as I turned the volume up, but nevertheless still sounded good quiet too. Whereas I would mix a song on the louder side, then I would turn the volume down and it quickly became lifeless. Reading this post gave me a little confidence boost because it confirmed that I’m not ignoring what my ears are telling me, and I’m progressing in the right direction. Sometimes I have scares that I might be moving backward and developing bad mixing habits. Great tips! I’m in a bad sounding room, and on my most recent mixes i’m using similar strategies as the ones you said to get a better result. I’m listening to references through a plugin called TB Isone, that simulates the sound of speakers in a room for headphone listeners. So I change the presets on Isone and alternate between simulation of very bad mono speakers, and “the other room” sound, and other presets, always comparing the sound of the references tracks with my own mix, both through this plugin. Making changes on my mixes this way is helping me getting better results than just using references without those simulations. Thanks again for all of your hard work in putting material out for your community of fellow engineers! Headphones are tricky. I did a pepsi challenge a few years back and after making notes did so reading up. Most headphones sound roughly the same to me. Until I tried out beyer dt770 and they kicked the rest out the frame. Still havent found anything near their open sound. But thats personal pref. Maybe others have their choice. Im not saying we all need to use the same. But maybe helpfull for a benchmark to measure the others. But bear in mind back in the days of two inch tape the engineers always ref the mix on beyers. (Still use my rokits to establish a sensable gain structure). This is great! I truly believe our ears can adapt with our environment to produce fantastic mixes in less than perfect environments. Out of these three tips, the reference tracks will be the key to success. Even if mixing is done almost completely on headphones, comparing the mix on different devices and speakers to a pro reference is the best tool to evaluate. Turning the speakers down is an awesome piece of advice, but I really believe with high quality headphones (this is huge), great reference tracks, and checking the mix on other devices and listening in different environments, our ears get the hang of mixing anywhere. 2) car stereo – my car has an aux jack so I literally sit in the car, in the garage with the laptop plugged in and can make adjustments from the driver’s seat. – good test of your mono mix and bass levels. Checking the reference tracks in these environments lets me know instantly how things are measuring up. It can either be reassuring or snap me out of a mixing rutt – either way things usually sound better afterward. Thanks for this article, it’s exactly what I needed! I was wondering – could you do one about recording in a bad sounding room instead of mixing in one? That would really help and I think lots of artists (like me) are struggling with this one. Thanks for consistently bringing this amazing content to us! If you’re recording in an apartment with lots of sound bouncing around or a thin-walled room where there is outside noise that you can’t control / eliminate (neighbors upstairs, dogs barking, construction on the road, etc), I’d actually recommend setting yourself up with a good dynamic mic like an sm7b. I ran a few acoustic guitar and vocals comparisons b/w a good mid-range condenser mic, a Neumann TLM-102, and a good mid-range dynamic mic, an SM7B. I found that the omni-directional, hyper-sensitivity, of that condenser lends itself really well to a treated room, but pretty awfully to a non-studio environment. Conversely, since the dynamic mic is more directional and a bit less sensitive (unless you’re cranking gain) it doesn’t pick up all the subtleties which actually ends up being a great thing cause it’s not as easily picking up the the room and outside noises. TL;DR: If you’re in a great room where it’s dry and quiet, use a condenser. If, like me, you’re dealing with an environment where there is unfortunately unwanted noise / acoustics, try using a dynamic mic. Just my experience, would love your thoughts on this Graham! I’ve a PC with a few audio jacks, plus I have a decent USB audio device. I run my main monitors off the USB sound device, a Beritone off one of the PC sound jacks, and open-back headphones off a third audio jack. While mixing I like to switch around to compare the sound. Since I don’t have a dedicated audio switching device I have to use whatever Windows provides. By default this can be very clunky. nircmd and the command prompt (AKA the “DOS window” or “shell”) to the rescue. nircmd is a sweet tool that allows you to control assorted Windows behavior from a command line. It’s geeky but super powerful. I made a point of using the Windows audio device GUI to give assorted names to my different sound devices. Having to type that or the like in order to change around devices can get tedious so I wrote some simple Windows scripts (mostly .bat files, some others using the Ruby programming language). For example, file “hp.bat” (for headphones) would contain that previous example. I have similar scripts for setting volume and changing stereo balance. For folks using OSX or other Unix variants I assume there are similar command-line tools for setting sound options (look at AppleScript, for example). It’s well worth learning some basic scripting on your platform of choice to make routine tasks easier. Sound advice from Graham, as always. The bit about headphones changing perspective and making one´s ears fresh anew, can be taken further. I usually do a lot of wip-mixes, and listen to them in as many environments and setups as possible. Walking around in town listening from my phone with headphones is quite different from doing a headphone-listen in silence at home. Also, about mixing at lower volumes, I find myself often checking the mix at ridiculously low volume. Turning everything down til it´s barely audible, is an effective method for exposing problems with instrument balancing and frequencies. But it only works if you have been mixing at fairly low volume to start with. Otherwise you´ll have to give your ears a couple of hours´ rest first. Acoustic are very important. 30 years in the industry. this is why I built this company. All your tips are valid ones; however tip #1 has not much to do with acoustics, neither do the Fletcher-Munson curves (which by the way advise a monitoring level of about 83 dBSPL for linearity, certainly not as low as possible). While for performance rooms bad sound is referred to as bad acoustics, for mixing/mastering it is not the ‘sound’ that determines the adequacy of the acoustics, but the linearity and Low Frequency resonance. The lack of spectral linearity (peaks and nulls), caused by standing waves in an untreated room will always be there no matter what monitoring level you choose; turning down the volume for acoustics sake has the same effect as putting in earplugs when mixing. People think that they can recognise/hear bad acoustics by a bad sound, but the worst part is those nulls/suckout frequencies that you cannot hear. But like I mentioned before; the three tips ARE good tips for making good mixes, they just don’t have much to do with acoustics. So: turn the speakers down, check. Use the headphones, check. Reference a pro track, er … just a sec … OK, check. Why no mention of room correction software like ARC2? I recall you doing a clip on this a while back. It involves purchasing something additional. These tips are things you can do right now for free. TIP 1 . . . If this is the case, then why do other pro recordings/CD’s sound good in my room at loud volume levels? Just because a pro mix sounds great at loud volumes in your room doesn’t mean you can or should mix at loud volumes in your room. It’s really nice to read these tips. I have a room without treatment, and sometimes I have to finish some works, and I was working in this way, with few volume, checking with Headphones, and, from now one, I’m gonna always choose a reference mix to compare. Great Tips. Another great thing people can do is creating a “Reflexion Free Zone”, because it’s very easy and, basically, you don’t need to spend money. You can thing informations about it on the internet. You can adapt your mixing to a great extent to the room, but there is a limit (no pun intended). In particular, problems arise in judging bass. If the room has profoundly uneven bass –as most small and/or untreated rooms do–it will be almost impossible to compensate properly for this, especially if there are severe nulls where one can not hear/judge the bass at all. Headphones can only help so much with bass, because normally the listener feels bass in the body as well as hearing it with the ears. Visual tools like various meters can also help to a great extent. Still, there is no substitute for an accurate room. That’s a really helpful tips, Thanks Mr. Graham. Here’s one way of looking at it: if you buy a good pair of headphones (along the lines of AKG 702, which can be found online for around $200), then the sound you hear in them will be as accurate right there in your chair, in your own room, with all its imperfections, as it would be if you were listening to those headphones in a 10 million dollar Nashville studio control room. On the other hand, you could spend $1,000 on acoustic treatment, the same again on monitors at least, and unless your room is big enough, acoustically well-proportioned, etc. the chances are you will STILL get a whole bunch of room nodes, bass issues and such like. It would be better than no treatment, and $200 of monitors, for sure – but not even in the same ballpark as listening to those monitors (or better monitors) in a purpose built, professionally designed, acoustic room. So, in terms of levelling the playing field, there can (in my view) be no better bang for the buck than a pair of decent headphones. They reveal all kinds of details that simply won’t be heard in an imperfect room, and are fantastically useful for making low-end moves, independent of the Boom in the Room. It seems almost too good to be true, but the fact is, a pair of $200 headphones will enable many of us to hear the most accurate sound possible given our current set up – more so even than a $20,000 pair of monitors – given the physical restrictions of many home studios. The timing on this tip for was spot on me due to learning over several years on how to get my mixes to sound decent with my army damaged ears. Just this morning I was mixing at low volume (Grahams tip) and switching to headphones and for the first time I was able to hear the shakers in the mix, I had to stop and really think was I hearing a mirage or what. 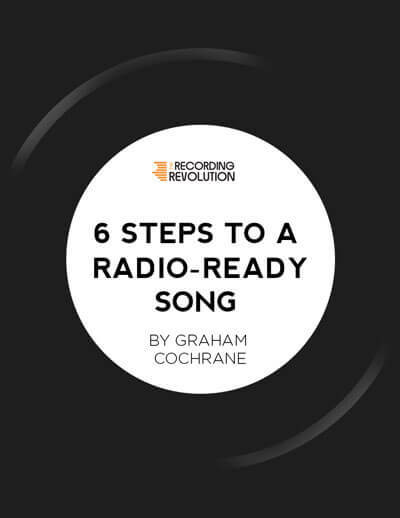 I have struggled with this issue for a long time and after these great trips on Grahams TRR it has helped me to retrain my damaged ears with his tips on taming audio and be able to do a better passionate love for making music. Graham, I cannot emphasise enough how useful your posts are. And this one came at the right time (like others before 🙂 just to remind me that I’m doing right. Yes, I followed these simple rules and yes, my mixes instantly sounded way better! My mixing room is way from beeing what a pro would call “suitable”. I’m sitting very near against the wall of the room’s short side. There is no sonic treatment (except a well-filled bookshelf behind me which helps a lot diffusing the sound). Nevertheless I find it easy to mix when hearing at low volumes, sometimes switching to a midrange speaker or my headphones. And for sure: referencing mastered songs is a must! One tip for comparing real life situations against the studio condition. After each mixing session (most of the time in the evening after my regular job) I render out an MP3. I then listen at it with fresh ears on the next morning in my car when I’m driving to work and once again in the afternoon when I’m driving home. This gives me a lot of input for the next mixing steps. Reason is my car’s speakers are far from beeing superb BUT I know their “real life characteristics” AND I know that hearing in a car is near to real life’s worst case. You hit it right on the head. I love all your stuff and have learned a lot by watching your videos and reading your letter. I agree whole heartedly that these three things NEED to be mastered in order to get what you want out of any studio……but especially a home or basement type studio. I spent money on Audimute blankets to take the room out completely …………but I think that created it’s own set of problems. It took a while to get used to mixing in such a dead space……but it’s great for tracking guitars and drums (vocals as well). I use Mackie HR824’s that I’ve had for a few years but I’ve learned to mix in mono some and on an Avantone 5″ speaker (mono of course) headphones and crappy computer speakers………then try to find reference tunes. Picking reference tunes could be a whole video for you. I am in the search for a set of headphones that you can trust. I go back and forth between two pair neither of which are high end by any means…….any suggestions? As always, I value and appreciate each and every one of your articles/videos. This one is no different. I’d like to say that since reading and watching, literally, everyone of your blogs and videos (some multiple times) as well as checking out things from people like Pensado etc…I have stepped up my game relatively quick. Much faster than if I did not have the benefit of this instruction. Thank you so much for giving us all the information that is critical toward improving our mixes. I mix totally “in the box” in a modest room with the bare essentials as far as equipment is concerned. Realizing and embracing my limitations has forced me to adjust accordingly. I guess what I’m trying to say is INSTEAD OF dreaming of recording in an incredible studio or complaining that my mix isn’t right because I “need more gear, better mics, top-notch audio interface, etc”, I do my absolute best to work with what I DO have. I have EQ, Compression, reference tracks, a pair of KRK Rokit5’s, and a decent pair of headphones. I’m using what you have suggested and I’m hearing a difference. My Christmas present to myself will be Dueling Mixes and lookin forward to that as well. Thanks Graham…keep em comin!!! Although it’s a bit backwards, I found going to the corner where all the bass builds up and listening to pro mixes, then comparing with mine, and memorizing what “good” bass sounded back there, I was able to control the low end a bit, since in my mixing position it’s just a pair of hi-fi speakers running through aux and there’s pretty much nothing below 100Hz. A pair of HD280s helped even more, but if you’re really tight in budget, try the corner trick – I even managed to sneak a mix of mine to a radio sound engineer friend of mine who runs a studio and we checked it on a pair of Adam A7Xs and he was like “what do you want me to do, that thing is already done and ready to go”. I was playing roulette by not referencing pro mixes enough, but still. You can do it on anything. You don’t have to stop making music until you get acoustic treatment. Do tons of music and while you’re at it, use the money you earn from it to get some treatment down the road. Hey Graham! You’re the best! You really show the possibilities in low budget studio recording and mixing. I love all your points about how to get what you need of what you already have and not falling for any advertising traps. You’re the best the internet has to offer for learning how to be a better sound engineer! Related to this post though, and correct me (link me to something you’ve previously done) if you’ve already gone over this, but i’d love to learn about how to get the best sound out of a microphone in a crappy sounding room! I use comforter blankets and sheets hanging on the wall and from the ceiling to make a little booth around my mic. This definitely helped diminish echoes but idk if im over dampening the sound or not. I’m wondering if there is a good technique that will boost the quality of the sound going into the mic. Thanks again Graham! I truly do appreciate everything you do for all of us! 🙂 cheers mate! Sonarworks makes a great plugin to help out for a headphone reference, I tried it and love it as a reference to go along with my studio monitors, I did a comparison with Redline, and Waves and Sonarworks reference worked for me the best. There is a plugin with specific EQ -curves for commonly used studio headphones to flatten the frequency response. I used it for 2 listed headphones and they sound exactly the same. For stereo field judgements I would still use speakers though… Fortunately they don’t have to be proper monitors..
Nice tips. Is it okay to mix my own songs? Such pseudoscience. Graham is talking like anti-vaxxers talking about the effectiveness of vaccines. Acoustic treatment should come before anything else. This is simply science. Would you let a world class painter paint blind? That is what you are doing with a room without acoustics. There will be SBIR, early reflections (comb filtering) and lots of other nasty stuff that will either make you overcompensate and under compensate in levels, eq decisions, reverb and compression. headphones are no way near a good reference system. You cannot emulate a room inside headphones that would defy the known physics rules. Which is also going to create problems in eq and leveling. Before anything else acoustic treatment should come first. Treating the rear and front wall should take care of SBIR, early reflections- eliminate comb filtering and some bass traps on corners. I found GIK and Realtraps to produce high quality panels. I am starting to hate these youtuber wanna be producers and engineers though, talking pseudoscience. These are what people I would call as BRODUCERS, bro science producing material. It’s not pseudoscience at all Tim. Yes, Acoustic treatment is helpful and has it’s place. But the point of this article is that it’s not needed. You can still get a great mix without it. Guys like Andrew Scheps (Adele, Red Hot Chile Peppers) are mixing records on headphones with great success. I have a pair of the Yamaha HS 5 series. Are these ok for mixing in hip hop. I have so much trouble getting my low end to hit like I hear in other pro mixes. I can’t figure out if I need a sub to hone in on the low frequencies, or if it might just be my room. I work in a spare room in my basement. Any feedback is appreciated.